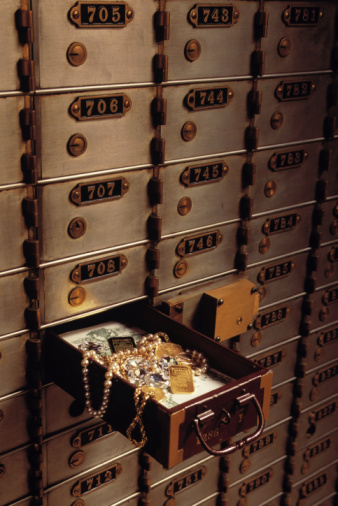 The general idea behind asset protection is to ensure that at least some of your assets are safe from any type of legal or other issue that would otherwise lead to losing those assets. Even if you are relatively new to the world of international investing, chances are that a broker or adviser has already helped you understand the value of utilizing different methods to protect those assets. What may not be clear is that asset protection is not a one-time thing that you never have to look at again. In reality, you want to update your protection strategies as your financial situation undergoes various types of changes. The best time to begin protecting your assets is right now. In order to get started, it pays to look at different types of offshore life insurance and identify a plan and provider that will allow you to wrap some of those assets into the plan. The idea is to identify specific assets and turn control of them over to the provider. A variable life product is a great vehicle for this type of protection strategy since the assets bundled into the plan are not eligible for seizure to settle debts or judgements. The returns on those assets will help grow the value of the policy as the years go by. You benefit by having an asset in place that you can borrow against when and as needed. Your beneficiaries benefit because the policy can literally continue increasing in value right up to the date of your death. When the proceeds are issued to your beneficiaries, the funds are classed as insurance disbursements and are often not subject to the higher taxes that are incurred with inherited assets. Best of all, most forms of variable universal life insurance allow insured parties to add to those protected assets over the years. This means that as you continue to increase your overall wealth through investments, it is worth the time and effort to bundle another asset or two into the policy. You increase the cash value you can borrow against, and you also preserve more resources for your beneficiaries. As you continue to acquire assets based in different countries, other opportunities to protect those assets will become available. The governmental laws and regulations that relate to international investors are often structured to motivate expat investors to invest more of their money into the infrastructure of the nation. As part of the deal, you may be offered incentives that help to keep your tax liability to a minimum. While this all sounds very good, it is important to make sure these types of shelters are in compliance with the regulations of the revenue agency in your home country. Even more important is the necessity of reviewing those regulations from time to time to make sure nothing has changed. It is a very real possibility that a shelter you put in place 10 years ago was in compliance at the time, but due to recent changes it is no longer a good fit. When this happens, you must be prepared to retrieve your assets and find some other shelter that does comply with the most recently enacted regulations. The fact is that your offshore planning is never a done deal. There is always the need to review the balance of assets in your portfolio, determine if you still want to maintain certain holdings or if the time has come to make some changes. Those changes are not limited to buying and selling assets. Take the time annually to review the status of any asset protection methods you currently have in place. Determine if they are still providing the benefits you desire or if they need to be abandoned or amended in some manner. Proper diligence on this front will increase your wealth over time and make it that much easier to achieve your ultimate financial goals.